We distribute apps via an Enterprise account, using an itms-services:// URL. This has always worked fine, but after installing the iOS 7.1 beta on our iPad it refuses to install. Instead we just get the generic Cannot connect to example.com message that iOS unhelpfully displays when there is any sort of problem downloading the app. I've been unable to find anything here on SO, on Google or in the 7.1 release notes to suggest what could be causing the problem. Turns out that in iOS 7.1, the URL for the manifest.plist file has to be HTTPS, where we were using HTTP. Changing the URL to HTTPS resolved the problem. I would assume you have to have a valid SSL certificate for the domain in question. We already did but I'd imagine you'll have issues without it. Upload your app.plist to dropbox. Remove any parameters on the dropbox shareable link such as "?dl=0t" (as per Carlos Aguirre Tradeco at Enterprise app deployment doesn't work on iOS 7.1 and my own experience). Again, get a shared link of download.html, like https://www.dropbox.com/s/gnoctp7n9g0l3hx/download.html, and remove any parameters. Now, visit https://dl.dropboxusercontent.com/s/gnoctp7n9g0l3hx/download.html in your device, you can install the app like before. Further to the Mark Parnell's answer, a quick-and-dirty way of getting around this is to put the manifest plist into Dropbox, and then using the Dropbox web interface to get a direct https link to it ('Share link' -> 'Get link' -> 'Download'). The actual ipa can remain wherever you always served it from. You'll need to URL-encode the plist's URL before inserting it into the itms-servivces URL's query (although just replacing any &s with %3D might work). One downside is that the install dialog will now read "dl.dropbox.com wants to install [whatever]". It is true, going forward you are expected to do all OTA deployments over https going forward with iOS7.1. Shame on Apple for not documenting this. This is not the same as just doing a self-signed certificate, in this solution you are also acting as your own private Certificate Authority. 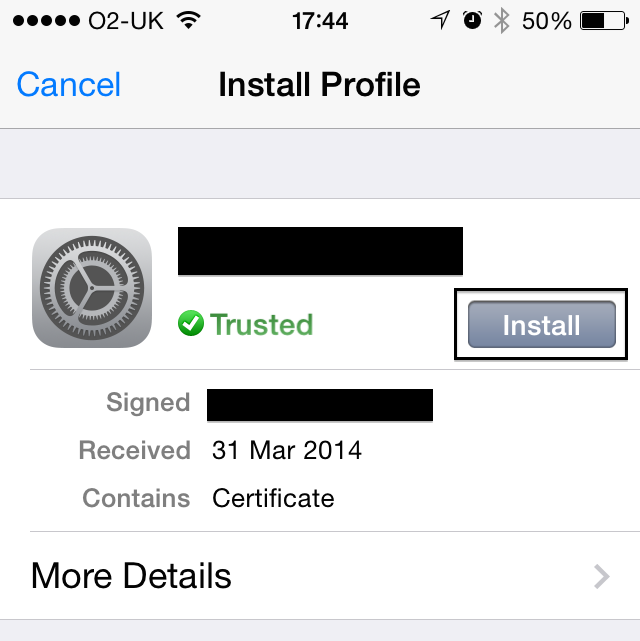 If your root certificate that is installed on your Apple device is not marked as Trusted (green) then something is wrong. Do it over. I had the same problem and although I was already using an SSL server, simply changing the links to https wasn't working as there was an underlying problem. That highlighted bit told me that we should be given the option to trust the certificate, but since this is the app store, working through Safari that recovery suggestion just isn't presented. Free SSL certificates are only a temporary solution. I finally found a solution by creating a Self Signed Root Certificate Authority and generating our server's SSL certificate using this. I don't know if it's necessary, but I made the authority trusted. 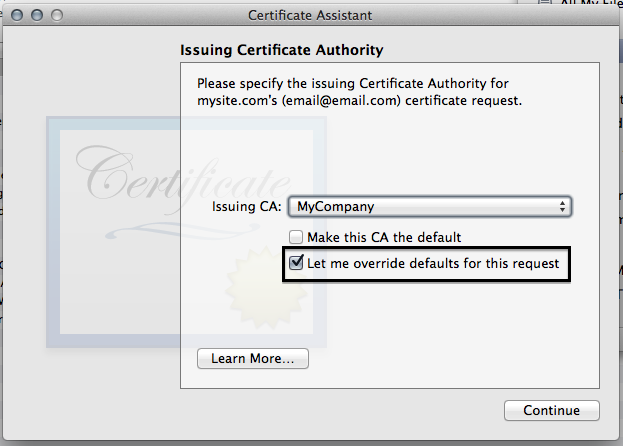 In our case, certificate signing requests are generated by the server admin. 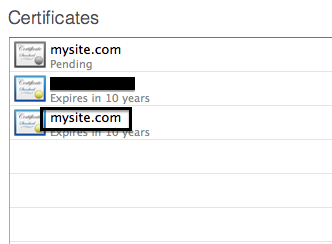 Simply it's a file that asks "Can I have a certificate with this information for my site please". Click the "Let me override defaults for this request button"
I like to increase the validity period. 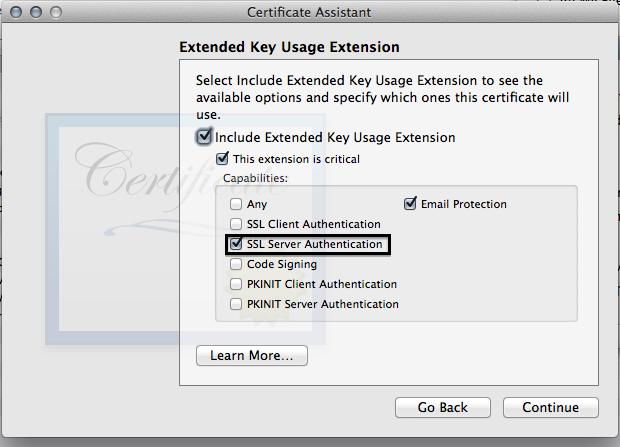 MAKE SURE YOU CLICK SSL SERVER AUTHENTICATION, this one caused me some headaches. You can click continue through the rest of the options. 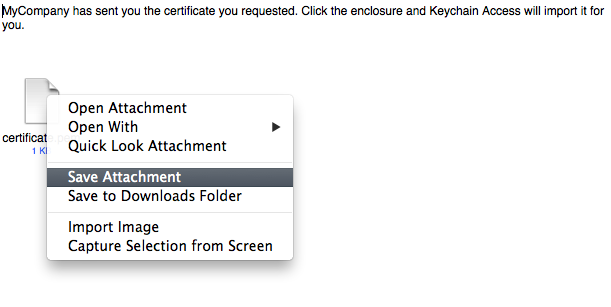 The Mail app will open giving you the chance to send the certificate. Instead of emailing, right click it and save it. 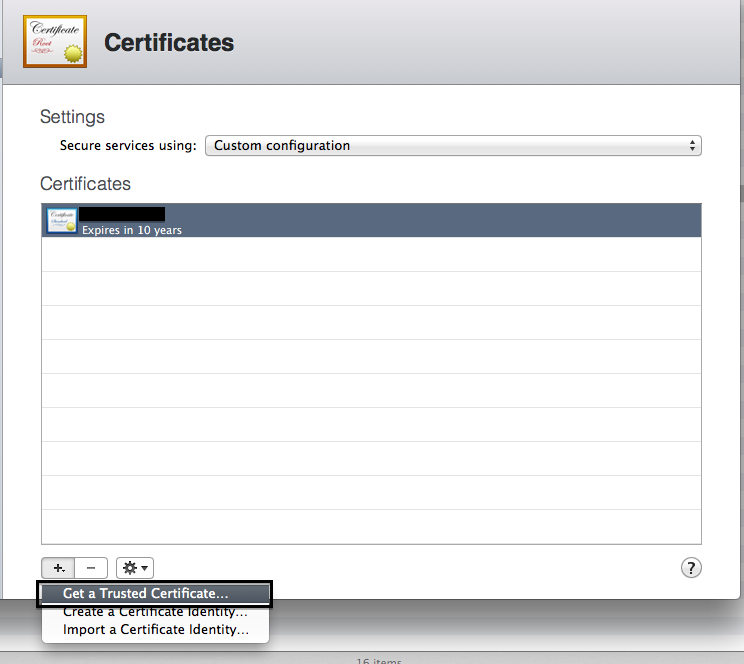 We now need to set up the server to use the certificate we just created for it's SSL traffic. 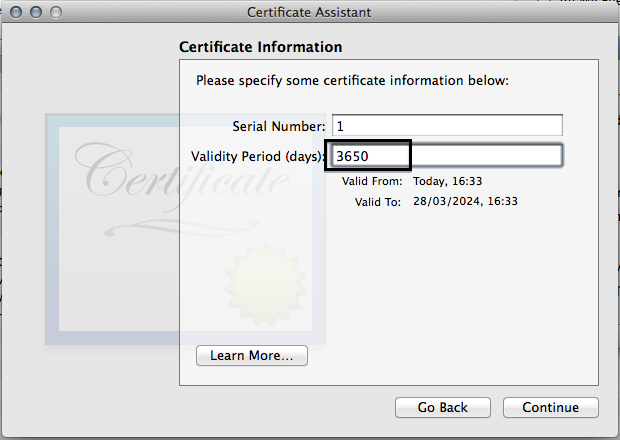 If the device your working on is your server, you might find the certificate is already installed. 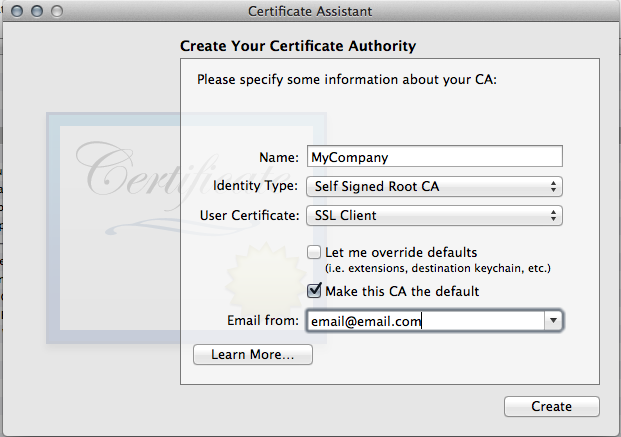 I then put this file on my server with my OTA apps, users can click this link and download the authority certificate. 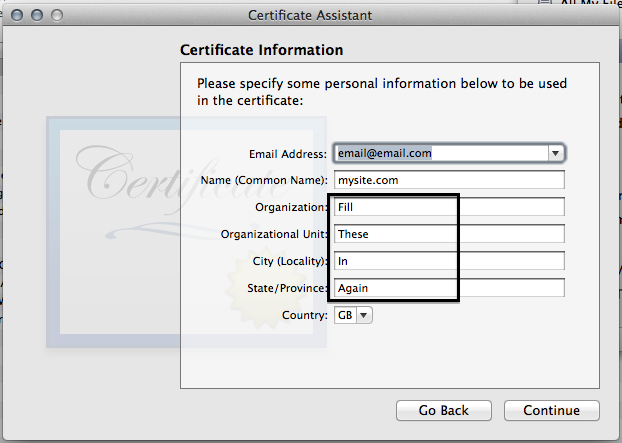 Emailing the certificate directly to users is also a valid option. 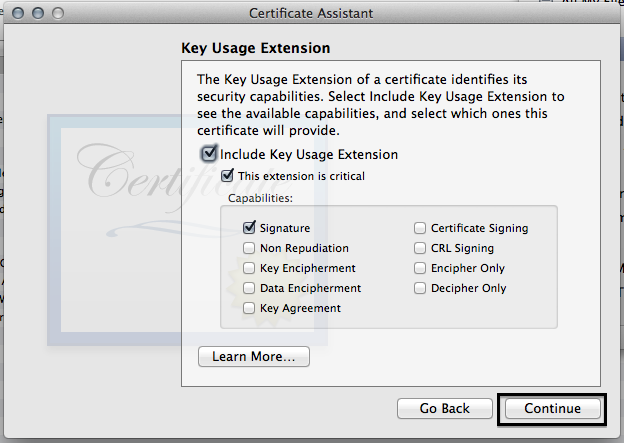 Install the certificate on your device. Try and install an app! It should now work. 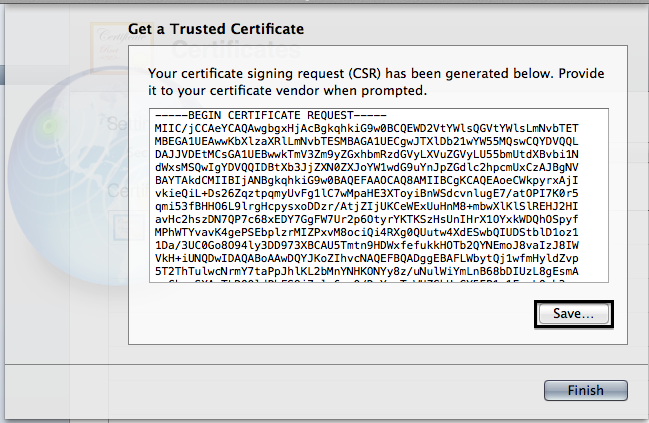 The certificate authority is trusted and the SSL certificate came from that authority. I can confirm it works, But You have to put html AND plist on dropbox. It works also for non-enterprise OTA, i.e. You want to share app with your dev. team. This will tell you whether or not the installer can see the IPA file. If you run the curl command with the '-i' you'll see the full response and it's probably not the IPA file. This is the response the installer sees, so if it's not returning HTTP 200 and an IPA you'll need to return it on your end. The ITMS installer doesn't save any context from Safari. If you authenticated into a secure portal in Safari, the authentication cookies aren't pass to the the installer. i.e. The installer needs to be able to see the app without authentication and this could be the reason you are getting 'Cannot connect to server'. I had same trouble and did as mentioned above. Put the plist in dropbox. Over the download file button, below an image of the document with mouse right button select the copy link action. This link is already something like https://dl.dropboxusercontent.com/s/xyz123/app.plist?stuff=stuff with many params. Browse for url encode online, selected one of those links, copy, paste, execute, then the resulting text copied and pasted into the html where I have the itms-services link. By the way I have this html in two different locations, one of those is where the ipa is located. Make sure the plist includes absolute references to the ipa file. But, now iphones with ios 7.0x can't install the app. Both issues are tightly related, and also bonded by the lack of official references. 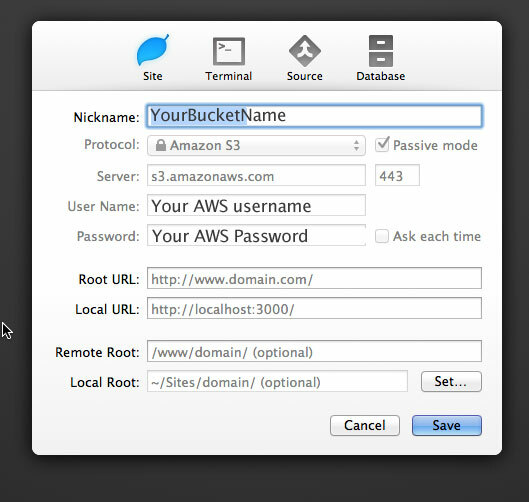 Then build your enterprise ad hoc in XCode and make sure you use https://s3.amazonaws.com/your-bucket-name/your-ad-hoc-folder/your-app.ipa as the Application URL, and upload it to your new S3 bucket directory. This is only for generic AWS URLs - I haven't tried with custom URLs on AWS so you might have to do a few things differently. I was determined to try to make James Webster's solution above work, but I couldn't get it to work with Plesk. As an alternative to using Dropbox for enterprise distribution you can use TestFlight for the distribution of enterprise signed apps. This is a fantastic service for the hosting and distribution of both ad-hoc development builds AND enterprise builds. upload the html file to your server in http. Note the html file contains both links to ipa and provisioning files. access to your html file from your device and now the ipa can be installed by OTA like usually. From now, only the ipa file has to be changed to provide next app versions by OTA to your beta testers. Until Apple is yet changing the security rules. After reading this post I had still a problem with downloading my app. Problem was because of self signed SSL certificate. I've found a solution for this problem. 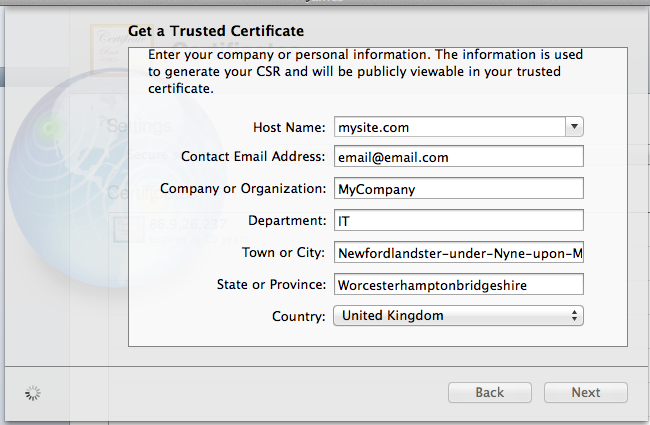 You need to upload your certificate file with extension '.crt' on the web and type address of it in your mobile safari. 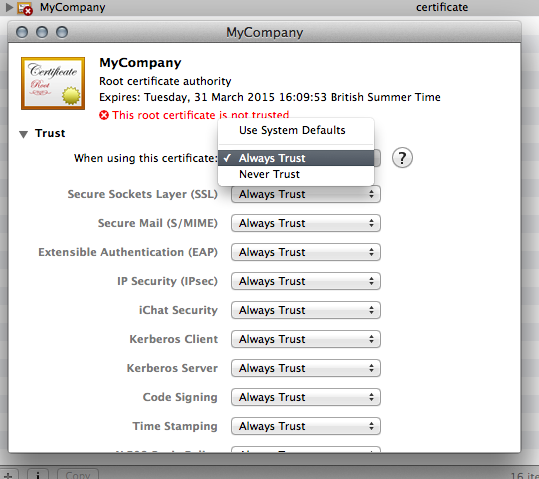 System ask you about adding your certificate to the list of trusted certificates. After this operation you will be able to install your ad-hoc app. There was even the suggestion in that error to check date settings. For some reason the date was 1 January 1970. Setting correct date solved the problem. Apter tried to change itms-services://?action=download-manifest&url=http://.... to itms-services://?action=download-manifest&url=https://..... It also cannot worked. The alert is cannot connect to my domain. I find out that also need update the webpage too. Not the answer you're looking for? Browse other questions tagged ios deployment or ask your own question. adhoc app installation failed in iPhone , why? How to publish applications for iphone enterprise developer program? OTA (Over the air) IOS 7.1 after change http-https still cannot connect server? How to secure iOS enterprise distribution using oauth on a public facing website? How do I load an HTTP URL with App Transport Security enabled in iOS 9?